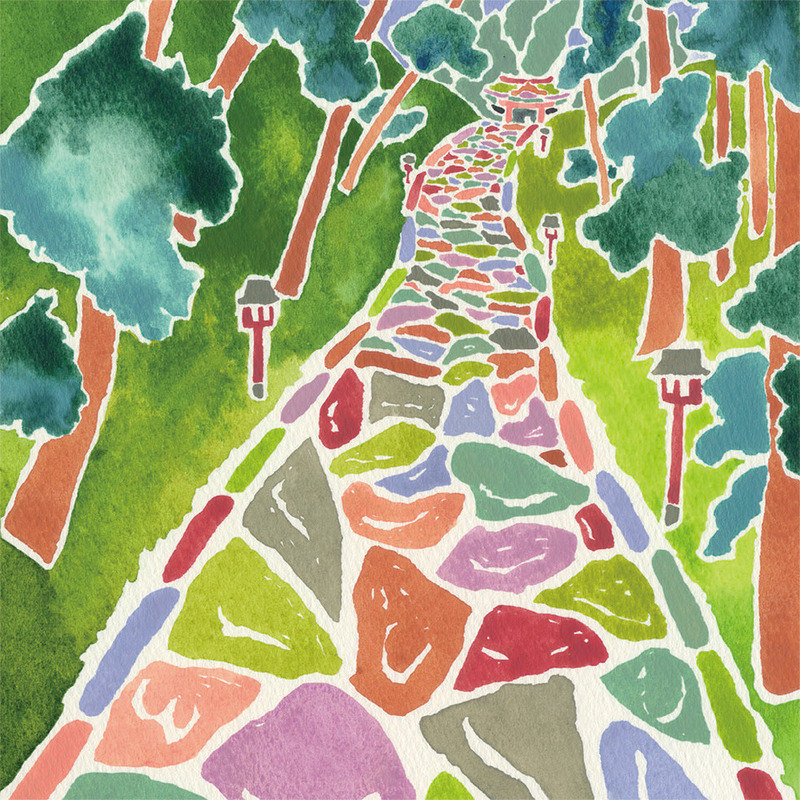 Ogamiyama Shrine Okumiya is known to have the longest trail paved with natural stones in Japan. This symbolic trail is 700 meters long and is located from the entrance of Daisen-ji Temple to Ogamiyama Shrine Okumiya. It is believed that it was constructed in around 1800 when the market of horses and cattle flourished in the Daisen area. You can find various historic objects along the trail such as statues of Jizoson (guardian deity of children), Yoshimochi-jizo which is the only Jizoson in Mt. Daisen engraved on a natural stone and Chikara-ishi (a power stone) of monk soldiers. These historic objects tell us that the faith in Jizo had been popular at the time. The doors of the gate in front of Ogamiyama Shrine Okumiya are reversed and do not face the shrine, which is unusual.